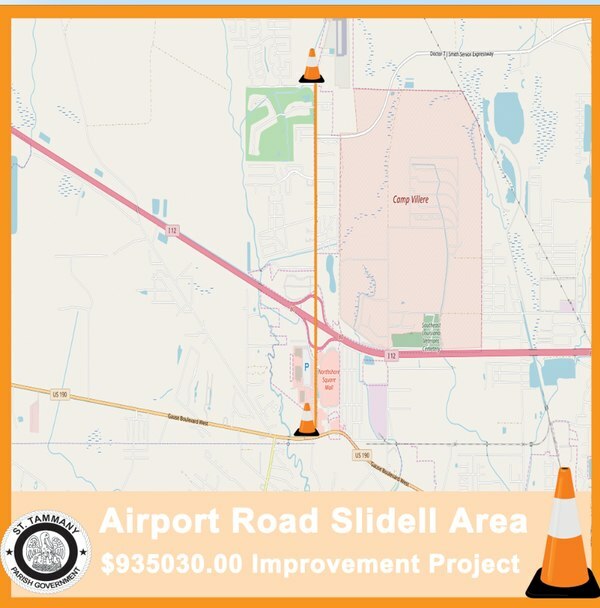 Work was set to begin Tuesday evening (Nov. 6) on a $935,000 improvement project on Airport Road in Slidell. The work is a collaboration of Slidell and St. Tammany Parish governments, the two said in a news release. The work stretches from the Slidell Municipal Airport to the intersection of Northshore and Gause boulevards and includes milling and overlaying the roadway, new striping and sidewalk improvements. Some of the roadway is inside the city limits. “Our goal is to make the most of all of our resources to make improvements happen, no matter where the boundary lines end,” St. Tammany Parish President Pat Brister said. The project is expected to be completed in early 2019. “We have a great relationship with President Brister and St. Tammany Parish government and we look forward to working with them on future projects to benefit all of our citizens,” Slidell Mayor Greg Cromer said.